Last month of April, it was reported that some Apple store were replacing damaged white 16GB iPhone 4 for white 16GB iPhone 4S after running out of white 16GB iPhone 4. Now, apparently, the same thing is happening again. Apple has told Genius Bars to replace black 16GB iPhone 4 and black 32GB iPhone 4 (CDMA, GSM) for an iPhone 4S of the same model, reports 9to5mac. So black 16GB iPhone 4 and black 32GB iPhone 4 owners who go to the Genius Bar and the device is diagnosed with hardware problems, the device will be replace with a black refurbished iPhone 4S of the same capacity as your iPhone 4. 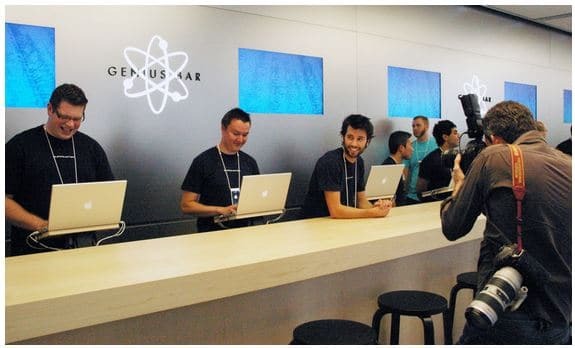 This will only happen if the Apple store you go has run out of replacements for black iPhone 4, which many store have.